Shoemaker, immigration agent, MLA (1900-1903), MLA (1903-1907), MLA (1911-1914), civil servant. Born in Icelandic on 6 October 1856, son of Baldwin Jonsson and Helga Egilsdottir, he came to Canada in 1873 and settled at Toronto where he worked at the shoemaking trade until 1882 when he moved to Winnipeg. In 1883, he became an Icelandic immigration agent for the federal government, remaining in the position until 1896 and being responsible for bringing over seven thousand people from Iceland to Canada. He owned and edited the Icelandic newspaper Heimskringla from 1898 to 1913. On 24 September 1886, he married Helga Sigurdasdottir (?-?) and they had three sons and three daughters. 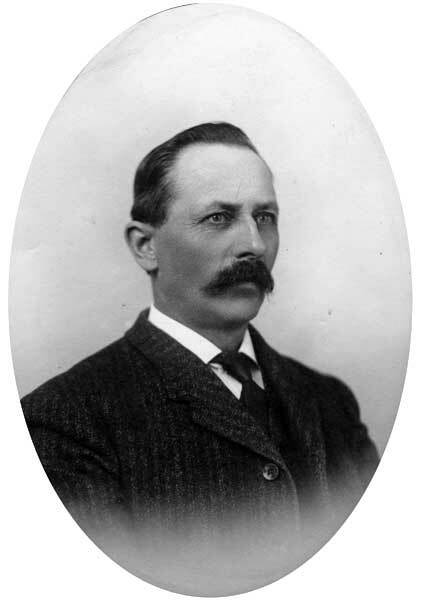 After defeat in the 1892 and 1896 provincial general elections, he represented the Gimli constituency in the Manitoba Legislature for twelve years, being elected or acclaimed in 1899, 1903, and 1910 but defeated in 1907. He served as Deputy Provincial Secretary of Manitoba from 1913 to 1922, during the Roblin and Norris governments. He retired in 1922 and lived at 728 Sherbrook Street, Winnipeg. In 1932 he moved to California to live with one of his daughters. He died at Hayward, California on 5 October 1936. “B. L. Baldwinson, former member Legislature, dies,” Winnipeg Free Press, 9 December 1936.